from Wikipedia page Nazi concentration camps. First photo out of Buchenwald. U.S. soldiers confront the citizens of Weimar with the corpses found there. In Man’s Search for Meaning,[i] neurologist and psychiatrist Viktor Frankl begins his story of imprisonment in the Nazi concentration camps of Auschwitz, Kaufering, and Turkheim with the observation that there were captives in the camps who by their behavior demonstrated that they were freer than their captors. The Holocaust is recent history’s most hideous illustration showing us that the objects of our gaze captivate, traumatize, and betray us. Even when people look upon their fellow humans as chattel, the face of the oppressed gazes back and enslaves the captors, as though the Stockholm Syndrome were inversed. 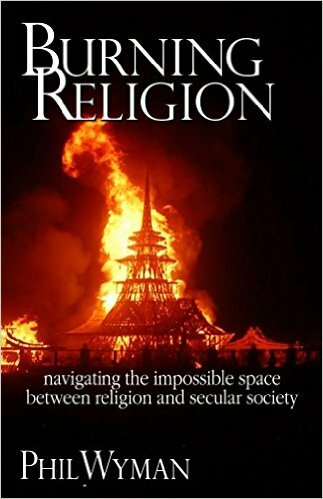 Religion and politics are two of the most passionate issues in human social interaction. These topics cajole us into places of frustration and anxiety on the one hand, and in other moments we discover elation and excitement. These negative and positive emotions are simply the two sides of the coin of our passion. We do care about these issues, because they are power issues. Whereas religion invokes the eternal and our hopes beyond life itself, politics invokes the temporal and our hopes for the here and now. None of us want to be wrong on either one of these issues. Whether we think of life as only existing in the here and now, and see religion as inconsequential to good living, or we embrace a religious belief of the hereafter, we don’t want to miss the boat if there is one, and we don’t want to prepare for a boat that may never arrive. In politics, we don’t want to be found believing in a worldview of the interactions of human power and finances only to discover that the system didn’t work. The fear of being wrong is so powerful that it forces commitment to our worldviews. So, in both politics and religion we tend to commit ourselves to our positions, because that commitment is our internal self-evidence that we really mean what we really mean, and we really believe what we really believe. In this commitment to our position, the object of our belief often looks back upon us and betrays us. It enslaves us. It causes trauma and we react to that trauma. Like having a lover who betrays us, we find ourselves in the grip of simultaneous love and hate, and the two emotions are not ever far apart. We vacillate in bipolar waves: in anger, in high expectation of other people, in giddiness, in sorrow…. Žižek’s wordplay on the activity of subject and object in relation to one another describes what happens to us, in our opinions and observations about the objects of our concern, the adoption of our values, and the embracing of our worldview. As we submit ourselves to the consideration of ideas, we are the changed ones. The transformative power of our opinions about politics is observable in the changes our ideas have made on us. In this sense, our vote betrays us. We become unbearable people toward one another. Our commitment to our political ideals, which we believe will make the world a better place, may cause us to treat other people with less than ideal behavior. When the utopian dream we hold becomes a source of our ill will toward others, we have been betrayed by our beliefs. Our commitment to a candidate may destroy relationships around us. Our vote has become more important to us than our behavior. Video from political speeches, debates, and campaign stumps in 2016 are showing us the betrayal of political choice. In support of our candidates, we are becoming unbearable fundamentalists of our own positions. Trump shouts down protesters, and mocks them. His security abuses people. His supporters threaten people, and all this happens in the name of Making America Great Again. Hillary berates young black women before our eyes, and the supporters cheer. Bernie’s young supporters go beyond the lines of decency in mocking those who support Hillary. Every candidate is besieged with either supporters who make trouble, or they are making the trouble themselves. This is the power of our political choice. It can become like an abusive relationship. Despite the fact that we are violating our own principles in holding firmly to our positions, we nonetheless keep holding on. It is like going back again and again to an abusive relationship, and getting angry with the neighbors who call the police to protect us from our own stupid choices. Our vote betrays us. It stares back with the hollow eyes of an abusive lover, and turns us into something we don’t want to become. 2016 is looking like the ultimate example of the vote that betrays us, and turns us into monsters. Like Frankl’s observations of the concentration camps, we simultaneously become both captors and captives of our own political positions. We are being held captive by our own search for freedom. [i] originally published in 1946 under the title Trotzdem Ja Zum Leben Sagen: Ein Psychologe erlebt das Konzentrationslager, meaning Nevertheless, Say “Yes” to Life: A Psychologist Experiences the Concentration Camp. In 1959 it was published in English under the title, From Death-Camp to Existentialism. [ii] Žižek, The Parallax View, pg. 17.